As with the other Norwex microfiber, this product works wonderfully with JUST WATER for general cleaning (wet & wring out well & clean your whole bathroom!). In fact, customers are telling me it’s perfect to clean down the shower right before or after their shower. No toxic chemicals or fumes to inhale– JUST WATER! And super effective. When you’re finished using the mitt, just rinse & wring out well. Hang to dry. Launder weekly (see Microfiber Care Instructions). You will still probably want to keep an Enviro and polishing clothin your bathroom for mirrors and stainless steel. And of course our Sanira toilet system for keeping the toilet clean and smelling fresh. These products make bathroom cleaning a breeze!! To help preserve our resources and protect our evironment by reducing the use of detergents, we suggest that slightly dirty cloths and mop pads be washed with a small amount of dish detergent (rubbing the microfiber against itself) under warm running water and used again before laundering. Do NOT use bleach or fabric softener on microfiber. Bleach destroys the fiber (and voids your warranty) and fabric softeners lessen the microfiber’s cleaning ability. Our Rubber Brush is excellent for removing debris from the mop pads & dusting mitt after use and between washings. Machine wash Norwex microfiber with lint-free laundry (i.e. 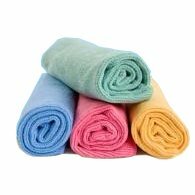 cotton sheets)- you want the cloths to continue to leave your windows, mirrors and other surfaces lint-free for many years to come! Make sure your laundry detergent doesn’t have bleach or fabric softener additives when cleaning your microfiber. A laundry detergent without fillers and environmentally-friendly, like our Norwex Ultra Power Plus Laundry Detergent, works extremely well. If your microfiber is heavily-soiled, they may be boiled in water for up to 5 min and then laundered as usual. This helps to release grease and other dirt in the cloths.It is a good idea to boil your microfiber 3-4 times a year for 10 minutes. 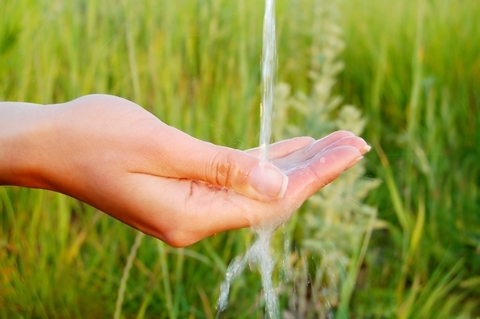 If you have hard water, your cloths may develop a mineral build-up. If this occurs, soak your cloths in vinegar for a few minutes and boil for 10min. Do not Microwave the cloths. Should boiling be necessary, please boil in water in a kettle on the stove top. With proper care of your Norwex cloths, they will likely last beyond the 2- year warranty! Just Add Water. Amazing Cleaning Capability. Easy to Care For. I LOVE that I get to promote a product that is helping to protect our environment (just think of the paper towels and chemicals we’re keeping out of our landfills and water supply!!) and a product that promotes healthier cleaning. You literally “Just Add Water”. It just doesn’t get much better than that! Microfiber is the new wave in green cleaning, and Norwex microfiber is the Mercedes of microfiber! Choose the company that offers QUALITY and SERVICE combined: Norwex.